NOTE: The salary advertised with this position is based on the 2017-2018 salary schedule. Effective July 1, 2018 through June 30, 2019, the position will receive an additional temporary 5% increase. On July 1, 2019 salaries will revert to the 2017-2018 salary schedule unless another agreement is reached. The Foothill-De Anza Community College District is currently accepting applications for the classified position above. The Department of Purchasing, Contracts and Risk Management is hiring one Senior Buyer - Special Projects to support District and college operations. This position is a leader in the Procurement team and requires consistently exercising independent and sound problem solving and judgment skills. 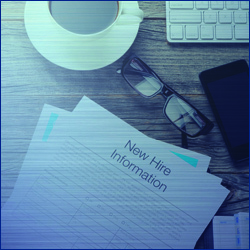 The incumbent will be responsible for coordinating and issuing high-value, construction, strategic or complex solicitations, projects and contracts, requiring an in-depth procurement experience. This position performs at the expert, professional level requiring individual work in research, solicitation, and preparation of contracts. Perform a variety of other duties and special projects as requested. Under the direction of the Purchasing Director, perform a variety of complex technical duties related to the acquisition of goods and services, and public works projects for the District in accordance with established laws, policies, procedures and guidelines; train and provide work direction to assigned staff. Review and process requisitions for the purchase of materials, supplies, equipment, and services, including construction related services and public projects. Act as a point of contact with requesting department to review and revise terms and conditions of proposed contract language and provide technical assistance to the requesting department in the preparation of RFPs, ITBs, and RFQs. Prepare, develop, and write detailed and complex formal specifications for bids(ITBs) and proposals (RFPs); receive bids and proposals and conduct bid openings; tabulate, evaluate, and analyze data; organize and lead evaluation committee processes; recommend award based on price and conformance to specifications. Perform complex research through various methods to determine legality and conformance of proposed contracts (i.e. Education, Public Contract, Government, Labor codes, contractor's state license board, prevailing wage laws, etc.). Make recommendations based on outcome of research. Prepare, process, and administer contracts. Review and evaluate contract provisions. Advise management on interpretation of contracts and agreements. Solve complicated contractual terms, investigate potential issues or complaints, provide guidance, assistance, and potential resolutions or remedies. Prepare and submit contract documents for executions by all parties involved. Perform reference checks, interview vendors, and recommend award of contracts as required. Review and oversee the scoring and selection process to ensure that the vendors receive a fair and equitable process and it is in compliance with applicable legal codes. Write Board of Trustees agenda items for complex purchases and contract award recommendations. Provide project administration for construction contracts and other public projects. Coordinate and prepare all contract correspondences with contractors, subcontractors, public agencies and the general public; set and maintain bid schedule; develop final bid specifications; solicit bids; issue bid documents and maintain planholder list; conduct job walks and bid conferences; issue bid amendments; conduct bid openings; prepare contract award recommendations, administer contract award documents such as verification of Certificates of Insurance Coverage including endorsements and limits, bonding requirements, and compliance with the Project Stabilization Agreement; verify Contractor registration and report projects to Department of Industrial Relations as required by law; act as contract administrator for substitution of subcontractor requests, stop payment notices, and public record requests; process change orders. Interpret and explain rules, regulations, policies and procedures related to purchasing functions to district personnel and the public in accordance with established procedures. Communicate in a positive manner with the goal of helping others understand the processes. Develop and maintain a variety of records and files related to contracts, board material and other purchasing and contracts information and material. Assist in analyzing departmental activities and documents for compliance with district policies, laws and governmental rules and regulations. Monitor developments in the field of Public Purchasing in California and recommend improvements to internal processes, policies, and procedures. Provide training and guidance to personnel and to the public as assigned. Prepare training documentation and hold training sessions for District personnel as needed. Serve as a liaison for the District between District staff, consultants, vendors, contractors, governmental agencies, and the Public to 1.) Acquaint them with procurement policies and procedures and to obtain information on products, services, or bid solicitations, and 2.) Resolve contractual issues, problems, or other disputes and offer remedies and solutions for resolution. Conducts complex cost-price and total cost of ownership analysis and identifies potential cost savings. Participate in the Emergency Operations Center as the Purchasing department liaison. May act for the Purchasing Director as designated. Serve as manager of the department in absence of Director. District and department purchasing policies and procedures. Current market conditions, types, and sources of supplies, materials, equipment, and services used in a community college district. Technical aspects of researching, comparing and purchasing district supplies, materials and equipment. Principles of training and providing work direction. Proper business etiquette for both oral and written communication. Correct English usage, grammar, spelling, punctuation and vocabulary. California Public Contracts Code, Education Code, Government Code, Uniformed Commercial Code, and other legal codes and laws that apply to public agency purchasing and public works projects. Governmental methods and procedures used in public sector competitive bidding. Basic math and elementary algebra. Demonstrate understanding of, sensitivity to, and respect for the diverse academic, socio-economic, ethnic, religious, and cultural backgrounds, disability, and sexual orientation of community college students, faculty and staff. Perform a variety of duties related to the acquisition of supplies, equipment, material and services for the District in accordance with established laws, policies, procedures and guidelines. Read, interpret, apply and explain laws, rules, regulations, policies, procedures, and legal contracts. Exercise sound judgment and reason logically in the decision-making process for the purchase of a variety of materials, supplies and equipment and services. Plan and organize work; apply good organizational skills. Research and analyze the purchasing market according to seasonal trends. Establish and maintain cooperative and effective working relationships with others; work as a positive team member; work collaboratively to gain and maintain confidence and cooperation in the course of work. Work independently with minimal direction. Work under pressure and adapt to changing circumstances. Manage multiple competing priorities to meet schedules and time lines. Train and provide work direction to others. Give presentations and/or training sessions to departments, vendors, and other organizations. Maintain records and prepare reports. Operate a variety of office equipment including a computer and scanner and use enterprise resource planning software. Multi-campus department and site visits. May include travel to conduct work. Hearing and speaking to exchange information in person and on the telephone as well as making presentations. Dexterity of hands and fingers to operate computer keyboard for written communication and correspondence. Seeing to read various materials. Standing for extended periods of time. Lifting, carrying, pushing or pulling objects up to 20 lbs. Any combination equivalent to a Bachelor's degree in accounting, business, public administration, purchasing or related field AND four (4) years increasingly responsible experience in the purchase of goods and services, construction and/or public works and contract management. A District on-line application on http://hr.fhda.edu/careers/. *In the application, you will provide information, which demonstrates your understanding of, sensitivity to, and respect for the diverse academic, socio-economic, ethnic, religious, and cultural backgrounds, disability, and sexual orientation of community college students, faculty and staff. Additionally, you will be asked to explain how your life experiences, studies or work have influenced your commitment to diversity, equity and inclusion. A cover letter addressing your qualifications for the position. If any required application materials are omitted, the committee will not review your application. Items not required (including reference letters) will not be accepted. For full-consideration, all application packets must be received by 11:59 pm on the closing date. Excellent benefits package which includes medical coverage for employee and eligible dependents, dental, vision care, employee assistance program, long term disability, retirement benefits and basic life insurance. For information on our benefits package that includes medical for employees and dependents, visit our web site: http://hr.fhda.edu/benefits/index.html. Persons with disabilities who require reasonable accommodation to complete the employment process must notify Employment Services no later than the closing date of the announcement. The successful applicant will be required to provide proof of authorization to work in the U.S. All interviewing costs incurred by applicant are the responsibility of the applicant.